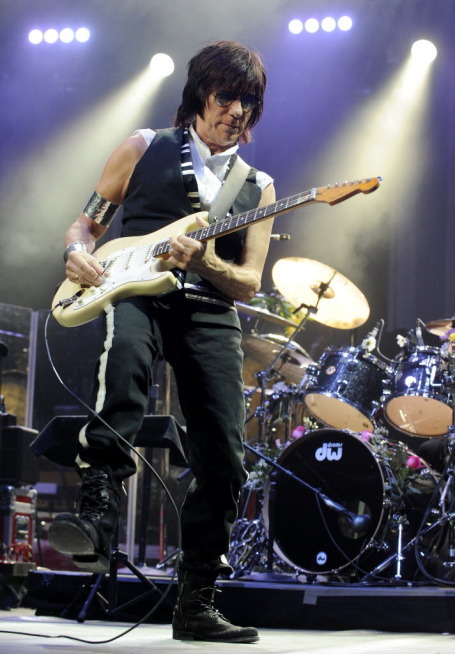 Jeff Beck says "No" to "Idol"
Not all rock stars go on "American Idol" to promote their latest endeavor. Guitar god Jeff Beck was going to accompany each of the nine finalists tonight on a song made famous by a Rock and Roll Hall of Famer. What a concept, since Beck is a two-time Hall of Famer (with the Yardbirds and for his solo career). But he decided to bow out of the assignment, his publicist said, because there wasn’t enough rehearsal time. Travel delays interfered with the rehearsal schedule and he didn’t have sufficient practice with each singer. "He didn’t feel it was fair to them to not be as prepared as he needed to be," his publicist told the Star Tribune in an e-mail this afternoon. Beck performs in Minneapolis on April 17 at the State Theatre.